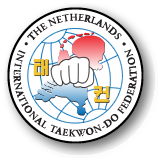 For those who attended / participated in the Open Dutch last weekend we created a short survey. It will only take about 5 minutes to complete, but it will help us improve the quality of the tournament even further next year! Please head over to the below link and fill out the form! We have just received the links to various online albums of pictures taken at the Open Dutch 2019. Some really great shots! We would like to thank Jos Klijn, Jurgen Spierings and Duncan Epping for sharing their photos with the world, and the links with us. Enjoy, and make sure to tag yourself in to these pictures and share them with friends and family! We know that many of you have been waiting for this, we have just published the draws. They are available on Sportdata, including the estimated time table. With over 750 competitors, we have a very packed agenda, so we would like to stress that it is really important you listen to the speaker. Each group will be called out and directed to a collection point (A, B or C). When it is time, each group will be escorted to the field where the group will compete. After the finals, the group will be escorted off the field. We would like to urge all competitors to stay outside of the competition area when they are not competing, stay behind the fences for your safety and the safety of the competitors. Nice offer for spectators! Breakfast for 10 euro! We have a great offer for all spectators, from 07:00 AM until 11:00 AM you can enjoy a nice breakfast at the hotel which is directly connected to the sports-hall. Available for only 10 euro! Yes, that includes unlimited coffee etc. We had some great feedback on the breakfast last year from some of the spectators, so make sure to take advantage of this great offer!